Music festival season regular, Miss Nicole Richie partnered with Urban Decay to create the UD x House of Harlow 1960 collection exclusively available on Revolve.com. Perfect for Coachella and beyond, this collection includes a Nicole-curated mix of fashionable makeup musts, which embody self-expression and individuality. 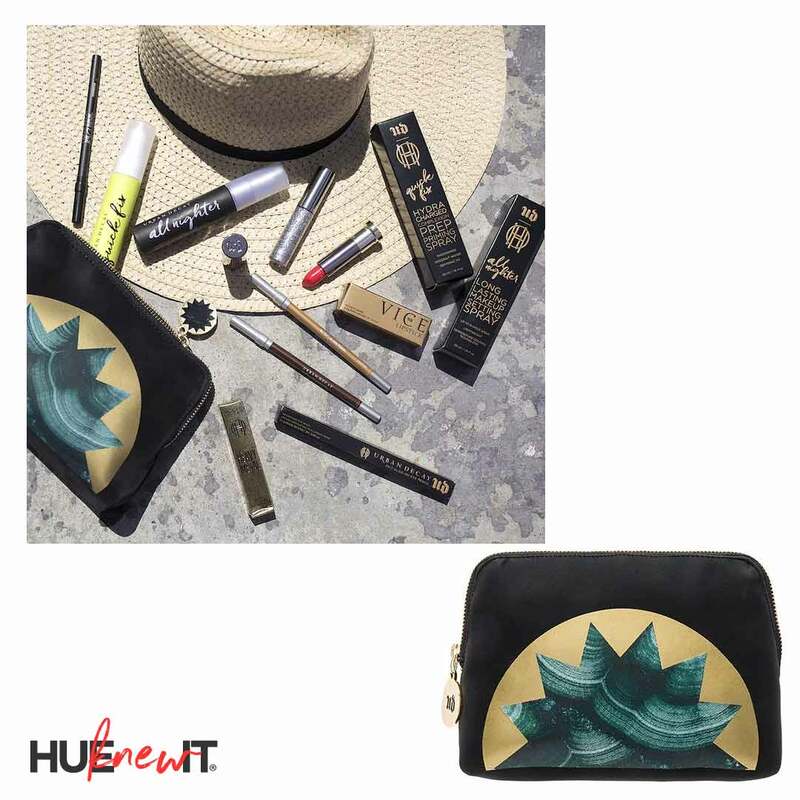 The exclusive Urban Decay x House of Harlow 1960 Limited Edition Makeup Bag is wrapped in a custom HoH print that can be stuffed with yours (and Nicole’s) fave festival necessities including the All Nighter Setting Spray and the pop of bright orange, Vice Lipstick. Designed in partnership with Skindinavia, the Quick Fix Complexion Prep Priming Spray balances and reinvigorates your skin post-cleansing. Inspired by the Korean water trend, this hydrating, smoothing prep priming spray visibly reduces the appearance of pores, brightens and smooths skin, and replaces lost moisture. The compact travel-size makes it perfect for any size bag for a quick, on-the-go boost. To heat all your makeup looks at each festival, try Urban Decay’s cult-favorite, 24/7 Glide-On Eye Pencils in Goldmine, Bourbon and Perversion, which are award-winning, waterproof formula that glides on soft, stays creamy for blending, and delivers extra-long, budge proof wear. Turn the heat up on your look with the limited-edition Urban Decay x House of Harlow 1960 Vice Lipstick in Fuel – a bright, sultry orange lipstick with a creamy matte finish, which applies smoothly without dragging or skipping, and hugs lips, day and night for long lasting wear. Previous PostPrevious Enter The ColorProof PowderFix Giveaway!